Red Bulls midfielder Tyler Adams has been named to No. 2 on the 22 Under 22 list, compiled by MLSSoccer.com. 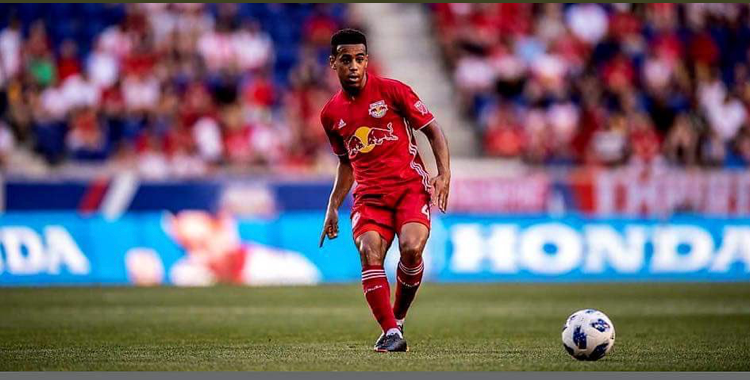 Adams, 19, has featured for New York since making his MLS debut in 2016, notching 47 starts and 50 appearances. He's scored two goals, tallied 11 assists and helped the Red Bulls to the 2017 U.S. Open Cup Final, 2017 MLS Cup Playoffs and 2018 Concacaf Champions League semifinals. He was named to his first MLS All-Star Game roster in 2018. The Homegrown Player was also named to MLS' 24 Under 24 list in 2017. "Maybe I'm biased, but he's a beast and we all know that," teammate Sean Davis said. "We're lucky to see him play week in, week out. His mentality, his growth has been unbelievable and he's a great representation for the club and he makes us all proud." The Wappinger Falls, New York, native got his first international goal in the U.S.' 2-0 win over Mexico on September 11, in his seventh senior cap. Adams has been involved in every USMNT match since getting his first cap last November against Portugal.